Stuhrling Quartz Watches represent simplicity with value at their very essence. Even the multifunction and chronograph watches from Stuhrling represent simple mechanisms and operations that just work well and they work for long. 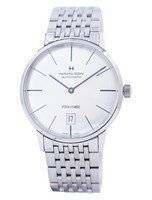 Every Stuhrling Original Quartz Watch is a well made piece and even the costliest among them is less expensive than other Swiss brands, thus making them easily accessible for every kind of budget. If adding value to personality is your prime concern, a Stuhrling Original Quartz Watch brings you an opportunity to do so without spending too much money. 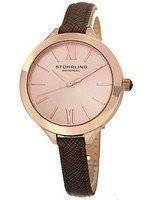 A Stuhrling Original Quartz Watch makes for a great addition to any wardrobe, irrespective of genders. This is primarily because every Stuhrling Original Quartz Watch pulls the double duty of looking good and functioning well; plus, it adds a touch of completion to whatever your outfit might be. Far from being big, clunky or cumbersome, each Stuhrling Original Quartz Watch is a fine representation of aesthetic balance with technical solidity and they come in numerous styles. There’s at least one Stuhrling Original Quartz Watch to match every preference; from masculine designs to the ones suiting the most delicate of wrists. Even when it comes to the sports and diver category, there are some extraordinary pieces in the Stuhrling Original Quartz Watch collection. These are no longer reserved for sports personnel and professionals only; anyone looking for something different than a business- or formal wear can opt for a sports/diver Stuhrling Original Quartz Watch according to their personal style or by the trending fashion. 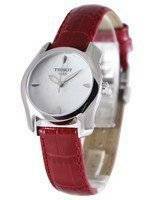 Made from the highest quality surgical steel with bands of the same material and leather, choices are aplenty from the Concorso, Symphony Elite, Classic Cuvette, Tiarra or Casatorra. But well, they are just a handful among the vast choices the Stuhrling Original Quartz Watch collection offers.